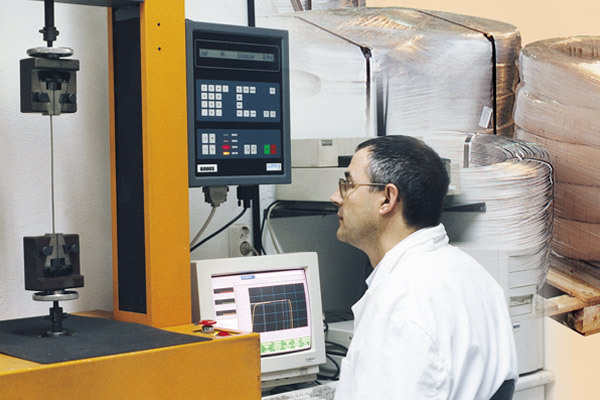 The technical personnel of SAPREM have a great experience in their speciality, which allows us to fulfil our customers’ requirements and also investigate and develop, new applications for pre-formed accessories. To do that, SAPREM has the right resources and the suitable technique. The technical department of SAPREM is responsible for developing and defining the technical characteristics of the pre-formed fittings. In the same way SAPREM studies any modification of our accessories necessary. So if your needs are not defined in the technical specifications, please do not hesitate in getting in touch with us. 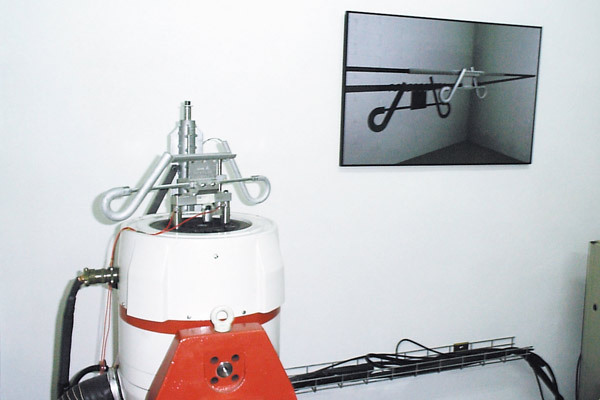 Technical equipment, SAPREM has a suitable laboratory for the design and development of vibration damper. 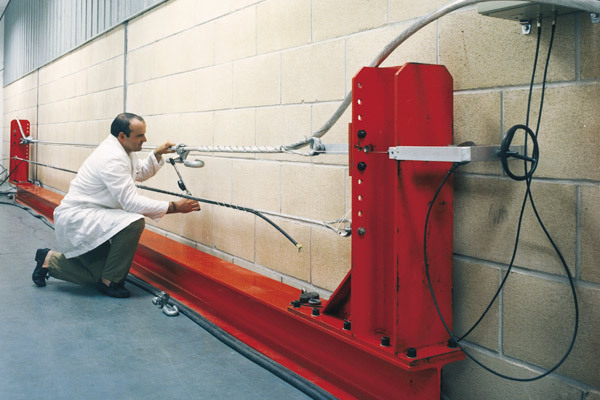 The test span is 42 meters long, and there aretwo electrodynamics shaker. 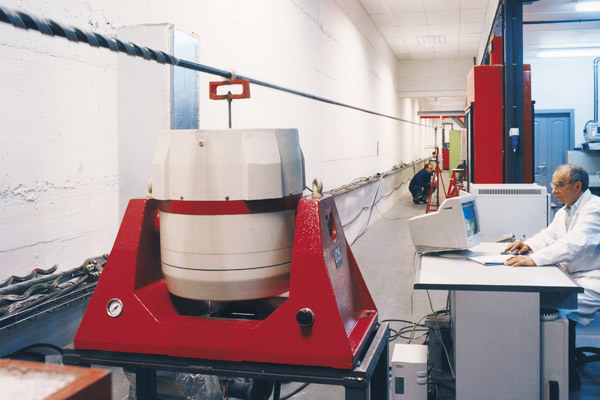 One for test span like: aeolian vibration test, fatigue test, damping effectiveness test, autoselfdamping test for any kind of cable. The second one is for production control, every lot istested the damper response. Apart from this, there are two tensile load machine for testing the preformado fittingsand rest of fittings (extension link, shackle etc).